Premium gift? Best driving experience in the whole world ever? Racing car to end all racing cars? Petrolhead Heaven? All these and more come to mind when trying to describe this pinnacle of every motorist’s ambition. It’s not a cheap experience, but then how much is Motoring Heaven worth to you? These beauties cost millions to develop and build, so you can’t expect a one-off like this to be cheap. AND the F1 days do cover overnight accommodation for two, so they’re not so dear as they might seem. For that special gift, or as a treat for yourself just because you deserve it, this is the one experience that we recommend without reservation. 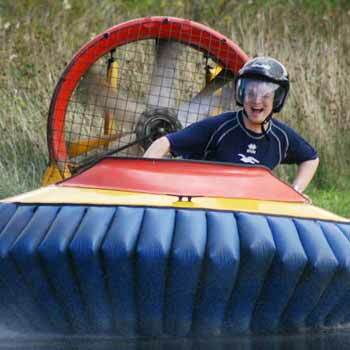 It will be money well spent and you’ll have a smile on your face for weeks afterwards. Well strangely enough, some are cheaper than others, for more or less the same experience. All these F1 days take place at the famous Three Sisters racetrack in Wigan, Lancashire. They all cover similar instruction, practice, and a range of cars getting faster and faster to prepare you for the big one, and they all include meals and overnight accommodation for you and a partner. So we recommend starting with the cheapest, checking out the detail of the cars, and when you’re happy, buy there and then. If you save a few pounds, that can go towards next time!! All our prices are updated in real time, so you’ll be the first to see any offers. OK, anyone would agree that’s an awesome list. The hotel and meals alone would come to a couple of hudred pounds, but when you factor in each individual experience – Ferraris, single seaters, formula 3 and formula 1, individually they’d easily come to double the asking price, and that’s if they were even available! What they’ve done here is come up with a training end experience package that will help you get the most from the F1 car when you get to drive it. You’ll have the background and the techniques and you’ll know every bend of the track so you really open up on the accelerator. I’m getting all misty-eyed just thinking about it! 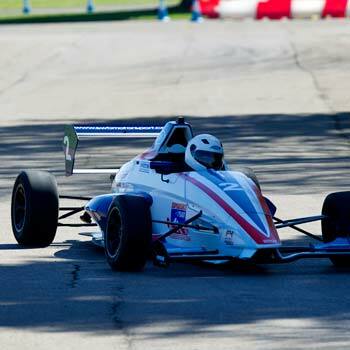 If that’s a bit steep for you, have a look at these single seater experiences. Not an F1 car, but a lot cheaper and a similar feeling! As we said, all these experiences are pretty similar and operated by the same people at the same place. It’s just that they’re marketed by different experience providers. So what happens on your formula 1 experience? You get all meals while you’re there, breakfast, lunch and tea. Then after your drive, you even get hotel accommodation with dinner and breakfast for you and a partner. So if your partner doesn’t want to watch your racing driver technique improving over the day, then this is a good opportunity for them to perform a spot of retail therapy locally before you meet up to enjoy your dinner and overnight stay. If you got straight out of your own car into a F1 car, then the odds are that you would either seriously prang the motor, kill yourself or both. The feel, sensation and whole driving experience of handling one of these thoroughbreds is so alien from anything you’ve ever come across before that much of the day goes into preparing you gradually for this driving thrill par excellence. 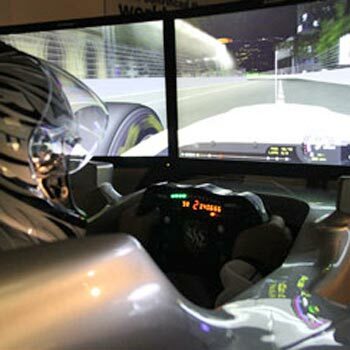 You’ll get an in-depth familiarisation on safety and high-speed driving methods and techniques and be taken on a high speed trip in a sports car by an instructor. This first trip alone will probably be faster and hairier than you’ve ever been driven before, but believe us, it’s only the beginning! There will follow a number of sessions in ever-speedier motors such as Aston Martins, Ferraris, Porsches, some with the instructor driving, some with you at the wheel, as he guides you steadily into becoming more and more competent at speed. Thought you were a good fast driver? Well the first few laps here will make you think again – but you certainly will be at the end of the day. 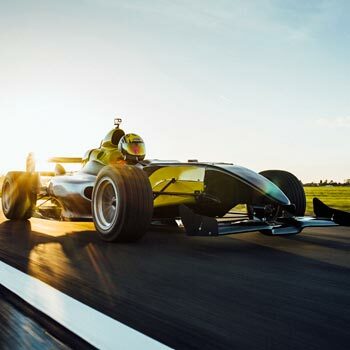 The instructor’s role is to demonstrate technique, explain high speed driving, and evaluate your progress throughout the day so that your pinnacle of driving achievement, the Formula One car drive itself, is safe, very fast, and thoroughly satisfying. After some exhilarating high speed driving in classic supercars, it’s time to progress to the single seater. Yes, that’s you and your right foot in total control showing how much you’ve learnt. There’ll be laps following a pace car to help you get acclimatised to the need for speed, then fantastic eyeballs out laps on your own. No sooner are you getting used to the Formula Three experience when it’s time for you to be whisked into the real deal. Until you’ve actually sat in that F1 seat, engaged gear and blasted away at an acceleration like nothing else on earth, you really can’t imagine the feeling. The climax of the whole day, ten brilliant laps with just you and the thoroughbred mechanical beast, and a few square inches of rubber holding you to the tarmac, will leave you grinning from ear to ear. So scroll back up, check out your F1 experience, and Thunderbirds Are Go!!! Oh, and while you’re waiting for your tickets, check out this Youtube video of another lucky F1 Experience driver showing how it’s done. 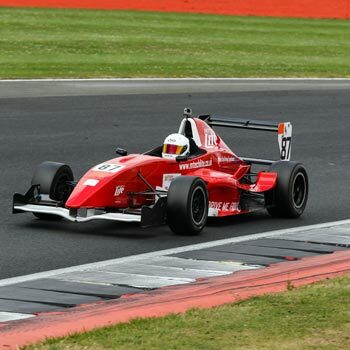 Formula 1 driving experiences – drive a racing car3Sarah FirminNot many people have driven a Formula One car. This is the ultimate for spead freaks, and we think it’s the best driving day ever. It costs a bit more than your average driving experience but we’ve found the UK’s best prices for this ultimate driver’s day out. Over £1500. You could buy a second hand Micra for that! Pricey but worth it Thomas (if you can afford it obviously)! Of all the big budget experiences, this one is really up there as a once in a lifetime treat that almost no-one else has done. And as we’ve pointed out, you can really see how they’ve come to that price when you see the individual bits added up. If you win the lottery you can buy your own f1 car and drive it to the shops. People never realise how difficult it is to control an F1 car til you get in the cockpit and give it a spin yourself. Professional drivers make it look so easy, but they’ve got a mixture of talent and practice, and you need some of that to get the most from this experience. You can’t just get in a drive you know? We think that’s the point of this experience though – there’s plenty of instruction before you get driving and there are some really knowledgeable people there who show you what an F1 car can (and can’t) do. Once you get driving it’s not up to professional F1 speeds (unless you turn out to be an f1 genius), but we can tell you it’s VERY fast and VERY powerful – certainly fast enough to make you feel like a Formula 1 driver (and scare yourself a bit too).